This model is the Corgi 240-A-1 Ghia Fiat 600 Jolly in light blue. There are no opening parts on this model. All features are either cast into the metal or comprise of separate parts which are attached during the finishing of the model. At the front we have a chromed bumper, number plate, Fiat grille badge, and two headlights. To the sides are front indicator lights, tiny "Jolly" badge above and to the rear of the front wheel arches. The model has no doors, being designed as an open vehicle. 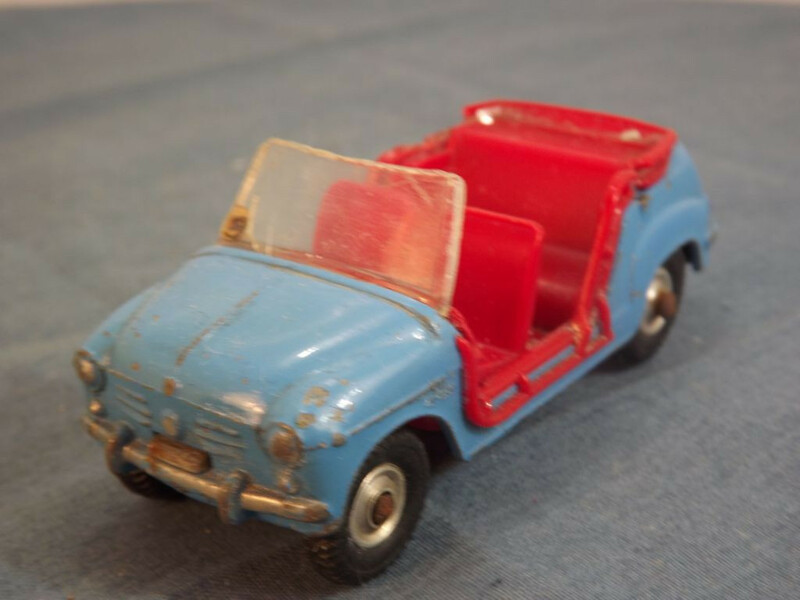 The rear of the model has a cast engine cover with louvres and handle (in the body colour), a separate rear number plate label, silver bumper, and two red painted rear lights. The roof is normally covered with a fringed canopy (missing). 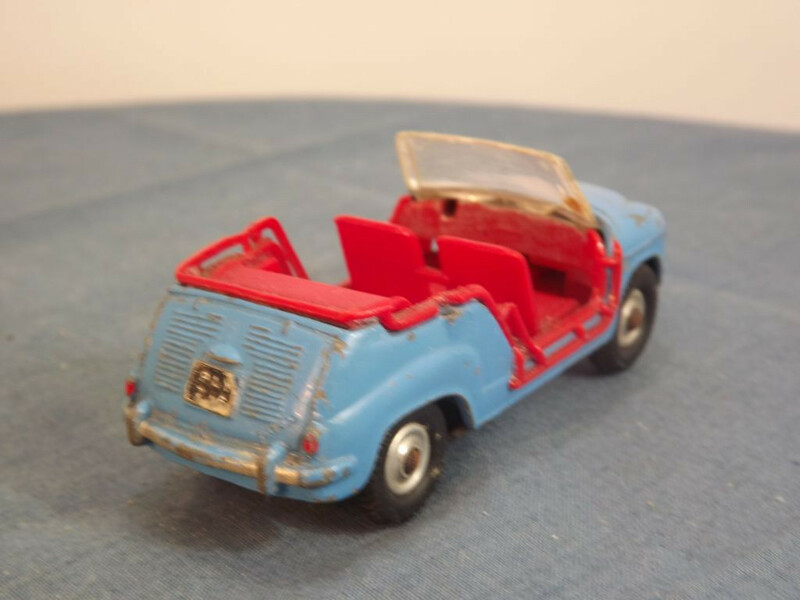 This model is in poor condition and is missing the driver, passenger, roof canopy, steering wheel, and other parts are broken. 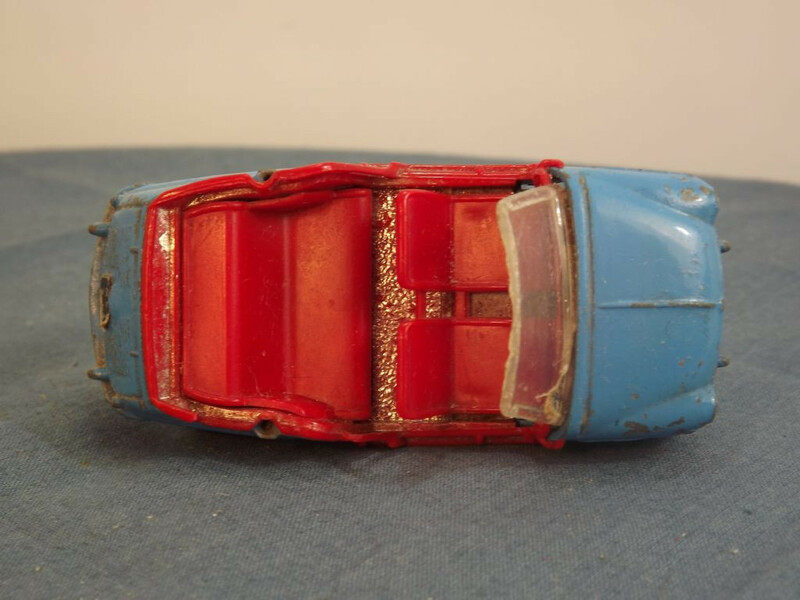 The interior is red plastic and features the two front seats and dashboard, single rear bench seat with hand rails, and a chromed plastic floor. The left hand drive steering wheel is missing. The glazing is clear plastic. 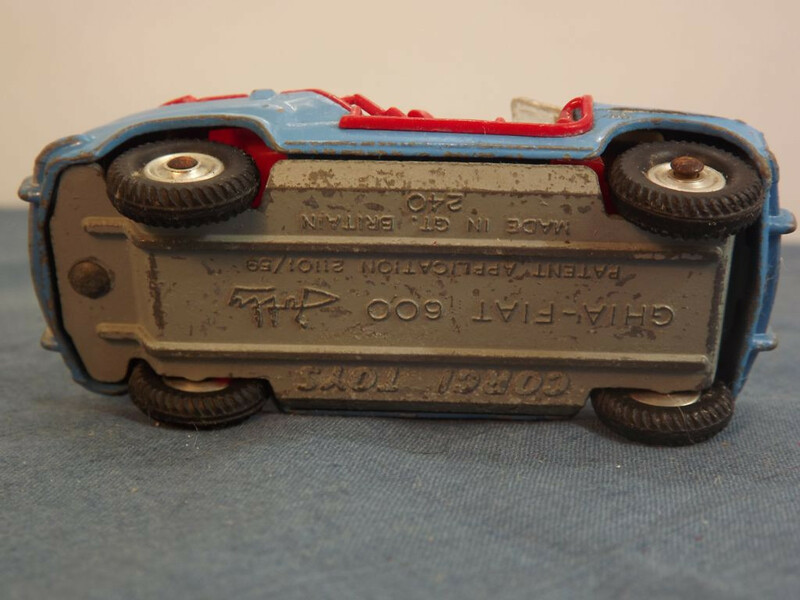 All wheels appear to be one piece, spun metal hubs with separate black "rubber" tyres, on steel axles. 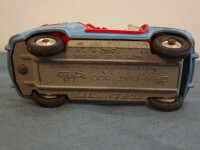 The base plate is grey painted metal with "CORGI TOYS" at the top centre, "Ghia-Fiat 600 Jolly, Patent Application 21101/59" on two lines in the centre middle, and "Made in GT. Britain, 240" on two lines at the centre bottom. It is held in place by a single front body locating lug and a single rear machined rivet. This model was issued in July 1963 and withdrawn in late 1964, with 205,000 having been sold. The scale is said to be 1/40.